The passport holder form following countries don’t need to apply visa to visit and stay less than 90 days. The visa requirements are very similar to schengen countries. Albania, Andorra, Antigua & Barbuda, Argentina, Australia, Austria, Bahamas, Barbados, Belgium, Bosnia and Herzegovina, Brazil, Brunei, Bulgaria, Canada, Chile, Costa Rica, Croatia, Cyprus, Czech Republic, Denmark, El Salvador, Estonia, Finland, France, Germany, Greece, Guatemala, Honduras, Hong Kong, Hungary, Iceland, Ireland, Israel, Italy, Japan, Latvia, Liechtenstein, Lithuania, Luxembourg, Macao, Macedonia, Malaysia, Malta, Mauritius, Mexico, Monaco, Montenegro, Netherlands, New Zealand, Nicaragua, Norway, Panama, Paraguay, Poland, Portugal,San Marino, Serbia, Seychelles, Singapore, Slovakia, Slovenia, South Korea, Spain, St Kitts and Nevis, Sweden, Switzerland, Taiwan, UK, USA, Uruguay, Vatican City and Venezuela. “A” Category is destined for the travellers that have to stop and wait for several hours for their next flight, in the international transit area of the designated airport. An airport transit visa allowing to stay in an international transit zone is required for citizens of Afghanistan, Bangladesh, Democratic Republic of Congo, Eritrea, Ethiopia, Ghana, Iran, Iraq, Nigeria, Pakistan, Somalia, Sri Lanka or foreigners holding travel documents issued by the aforementioned countries. This visa may be issued to stay in an international transit zone at the airport of a Schengen member state. For further information please contact us. This visa may be issued for one, two or exceptionally several transits through the territory of Romania, with a validity period of up to 6 months. On the basis of a transit visa, a foreigner may stay in Romania for a period of up to 5 days upon each journey. For further information please contact us. If you have a plan to go to Romania for holidays, short course, business meeting, you can apply for visa with requirement in embassy. With schengen visa, you can enter and stay in Romania up to 90 days. For further information please contact us. This may be issued to an foreigner for one, two or multiple entries into Romania, intending to stay in the territory of Romania over 90 days, but no longer than 6 months in the period of one year. People from non-Schengen countries who want to work, study or live in Romania will need to enter the country on a long-stay visa and apply for the relevant residence permit after they arrive. Individuals intending to work, study or remain longer than 90 (ninety) days in Romania, must obtain an entry visa prior to their arrival in Romania. The students from the EU countries,Canada, Croatia, Japan, Moldavia, South Korea, Switzerland, USA and Yugoslavia are exempt from visa requirements for 90 days. Other nationals are required to apply for a student visa prior to arrival. with below documents to obtain visa 30-90 days within which period the student is required to complete their registration at the university and apply for their student residence permit which is valid for 1 year. 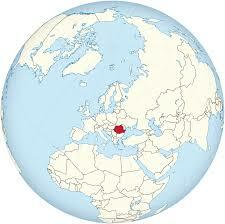 The laws governing work permits for Romania are similar to most European Union member states. Non-EU citizens need to obtain a work permit, a long-stay visa and a stay permit to legally work in the country. It is the employer’s responsibility to prove that the position could not be filled by a Romanian or a candidate from another EU country. Romania has developing middle income economy predominantly based on services, and is a producer and net exporter of machines and electric energy. On 1 January 2007 Romania entered the EU and Romania Leu is the national currency. The minimum investment is €50,000 (no limit). For further information please contact us. Romania is a country in South-Eastern Europe, known in the wooded area of Transylvania, surrounded by the Carpathian Mountains. Its preserved medieval towns include Sighişoara, and there are many fortified churches and castles, notably Castle Bran cliffs, long, connected with the legend of Dracula. Bucharest, the capital, is the site of the giant communist government building of Palatul Parlamentului.